This sweet paw print bracelet is strung with genuine white Swarovski pearls, two black "turtle" turquoise beads, bright stardust silver-plated beads, and pewter star spacer beads. 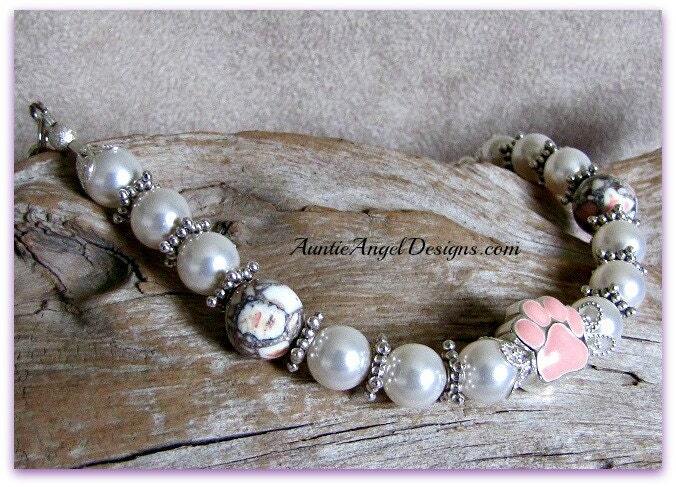 The highlight of this gorgeous dog-lover bracelet is the darling enamel pink paw print Pandora-style charm -- power of the pink paw, a symbol for canine cancer awareness! 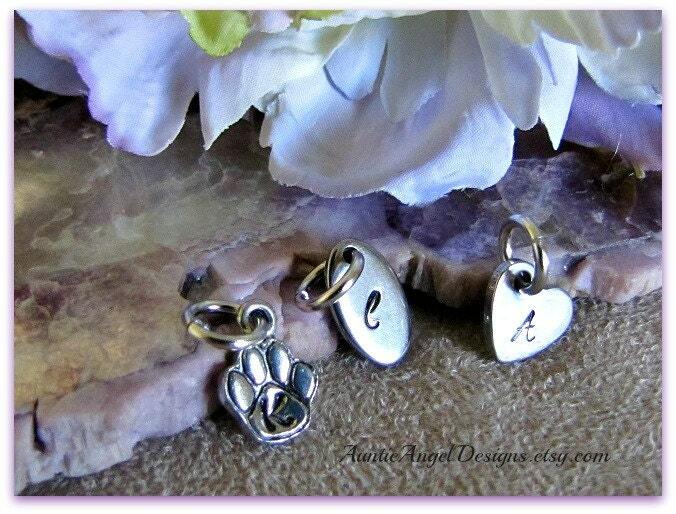 This bracelet is finished with an heirloom-style silver electroplated toggle clasp. Due to naturally occurring color combinations of gemstone beads, no two bracelets are exactly alike. 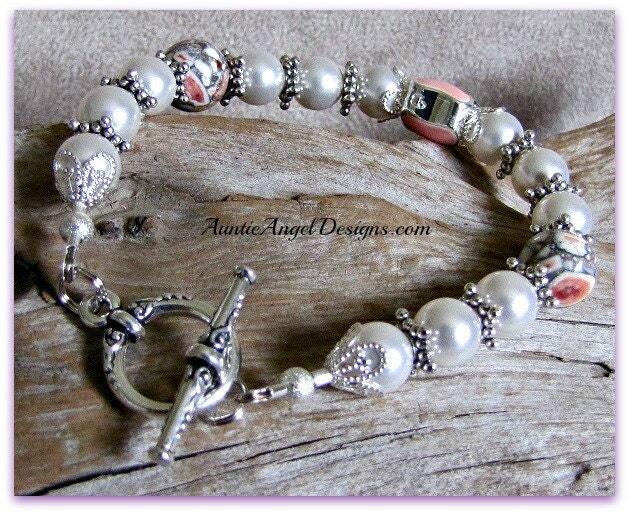 Your bracelet may include more beads or have fewer beads to fit your wrist. Please provide your wrist size, NOT your bracelet size. 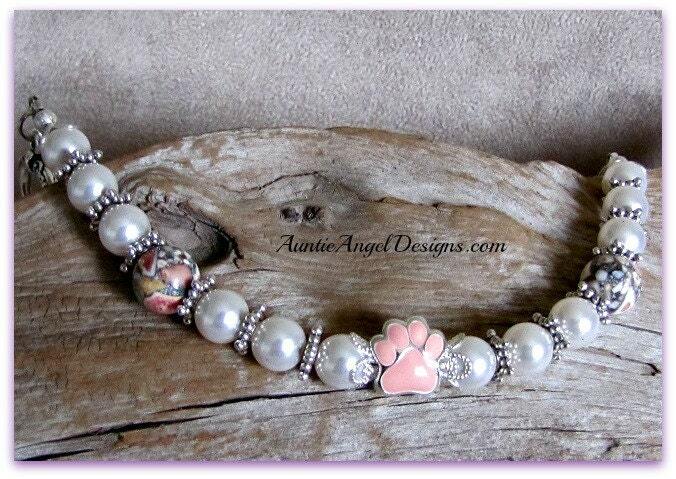 This canine cancer pink paw bracelet comes in its own gift box with ribbon and is ready for gift-giving. 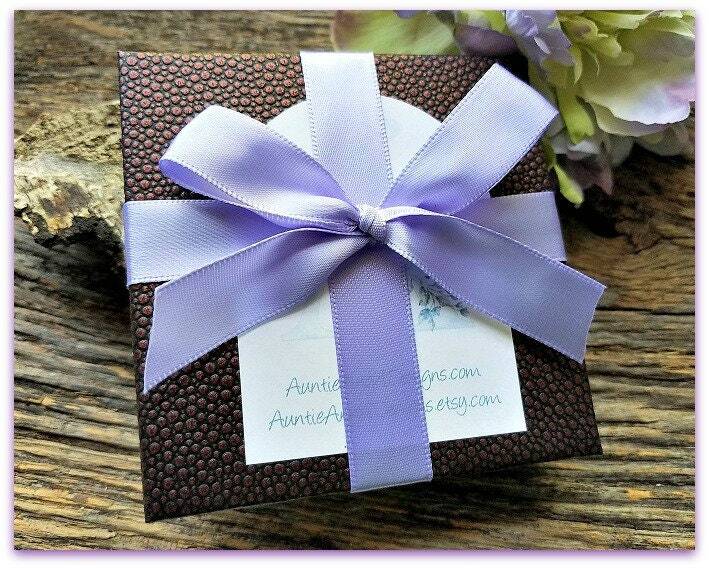 I include a small paw print gift enclosure card and envelope for your heart-felt message to be handwritten on the card IF you are giving this as a gift. Please let me know! If I am sending this gift for you, please include your message in the Note from Buyer box and let me know how you would like to "sign" your name to the card. If you have any questions whatsoever, please contact me. I will also contact you if I have any questions. Please be sure to check your e-mail after your order is placed so there is no delay in fulfilling your order. Love my bracelet! Shipping time was so quick!